The official Calgary Flames website lists Michael Ferland as projected to play on the fourth line with Derek Grant and Josh Jooris. Ferland has been out since October 23rd with an MCL Sprain. 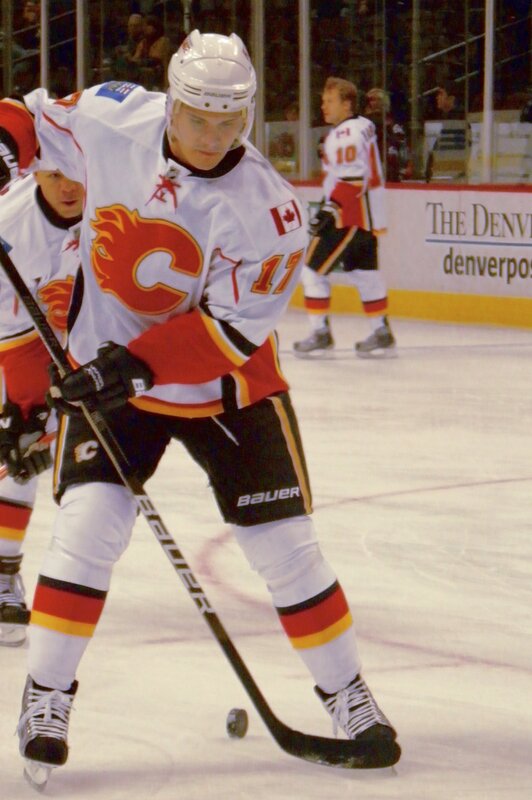 It’s just not the same watching the Flames without him, so let’s hope his return can give them a spark. Rene Bourque has found himself in John Tortorella’s doghouse, but after being a healthy scratch for six straight games he might find his way back into the lineup with Alexander Wennberg being placed on Injured Reserve. Tortorella is known for his “tough love” with his players, and apparently he’s been trying to send a message to Bourque. Bourque played four seasons for the NCAA Wisconsin Badgers (Serving as Captain in his final season) before signing as a free agent with the Chicago Blackhawks. Despite several major injuries that have kept him out of the lineup, Bourque has had a successful NHL career with several teams, including the Montreal Canadiens and Calgary Flames. This season, Bourque has four goals in eight games, clearly demonstrating his value to the Blue Jackets. At 33 years old, he still has a few good years left if he can maintain his output; so keep your fingers crossed for this First Nations Albertan. As a US 501(c)3, all donations are 100% tax deductible. Please help us encourage Native hockey players to attend college through our scholarship program.